Enzymes break down the oil molecules, leaving a clean slate of concrete. 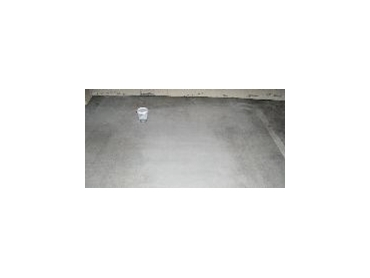 BIOLOGICAL Oil Removal has launched a fast, safe, efficient and environmentally friendly solution to oil-stained concrete. ReKRETE waterless concrete cleaner can clean oil from concrete without water because it contains natural enzymes that breakdown complex oil molecules into simple, harmless substances. Oils of all types are constantly being spilt onto car parks and driveways. These stains are a slip hazard, they make businesses look untidy and allow oil to ‘run-off’ and flow into creeks, rivers and bays. Until now, there has been no safe, quick and economical solution to slippery, ugly, environmentally hazardous oil stains. The only way of cleaning concrete was with degreasers, which lift the oils and then pressure washing with very large quantities of ‘rinsing water’. The contaminated wastewater was either illegally washed into storm water drains, flowing into our creeks, rivers and bays or expensively captured, processed and sent to overloaded sewage system. Australian businessman, John Murrell, realised there must be an environmentally friendly way to remove oil from concrete. He found the solution in ReKRETE waterless concrete cleaner. "ReKRETE waterless concrete cleaner is revolutionary because it uses natural enzymes to breakdown the hydrocarbon molecules instead of detergents and water to simply move them elsewhere,” he said. “Once broken down, the oil can never be a problem again." A demonstration shows ReKRETE - a fine gray powder - is simply poured on the concrete and swept over the stain with a broom. Initially the powder simply covers the stain, but, being so fine it also gets deep into the pores of the concrete where, over time, the enzymes break down the oil molecules. ReKRETE was being used successfully in the US and Europe, and after more trials, John Murrell set up Biological Oil Removal to market. "ReKRETE is truly unique," said Mr Murrell. "It uses none of our precious water and the treated area can be driven and walked on immediately."